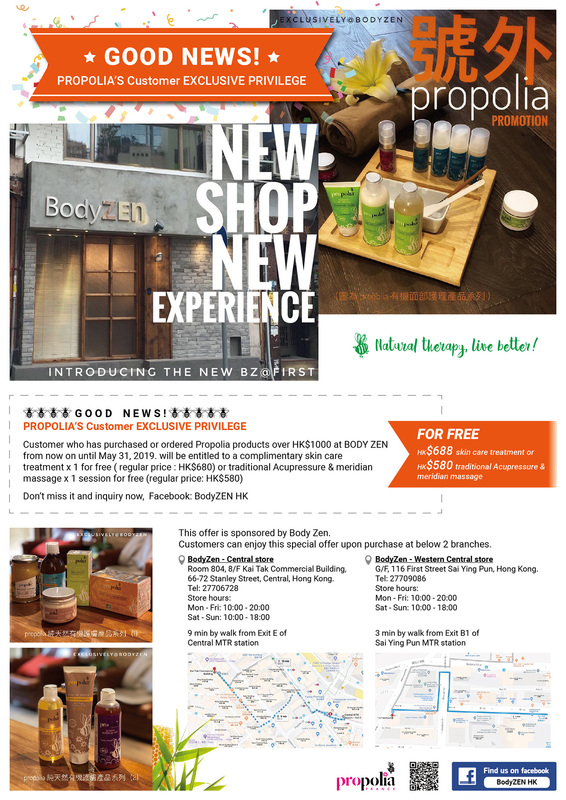 Customer who has purchased or ordered Propolia products over HK$1000 at BODY ZEN from now on until May 31, 2019. Room 804, 8/F Kai Tak Commercial Building, 66-72 Stanley Street, Central, Hong Kong. G/F, 116 First Street Sai Ying Pun, Hong Kong.